Bambi! I mean...The Lion King! It seems only fitting that I take a look at the soundtrack to Disney's monumental Lion King, seeing as how it is out in 3D (and also making a killing at the box office), and because my brother told me to get in line and follow his lead. But do I comment on the orchestral incidental music, or focus on Elton John and Tim Rice's songs? Or do I focus on the cheesy Elton John-sung version of each song?? That's it, I'm just focussing on Hans Zimmer's orchestral music. 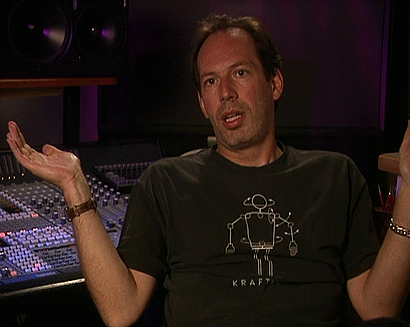 To this date, it is still Hans Zimmer's only Academy Award win, although the amount of music actually written is very minimal, with regards to the length of the film and sharing it with the popular song numbers. Looking back through the Oscar's history, the awards in previous years went to The Little Mermaid, Beauty and the Beast, Aladdin, and Lion King in 1994 (with Dances with Wolves and Schindler's List thrown in there). Clearly the animated musical format was very popular in these days, and with good reason. It doesn't hurt, though, that everyone in the street would have been singing along to Elton John's numbers......but I digress. In listening again to this soundtrack, it's not one of my favourites - I'm trying to determine why this is. It really is well written, uses bits of Dies Irae (a theme used in countless classical music works depicting judgement day, in this case is used with Simba and Scar's final confrontation), and employs Zimmer's typical grandiose style. The track '....To die for' is just that. I think my lackluster appreciation stems from the fact that the style and sound of this soundtrack has been copied so many times that it does not sound original to me anymore, although it was certainly the case at the time. Hans Zimmer seems to have a fascination with world music, particularly from the African continent (see Black Hawk Down, Gladiator). We now take it for granted in soundtracks to use instruments and vocals from around the world. The Lion King was one of the first, though, to combine unique cultural styles and combine them with 'Western' orchestral instruments and harmonies. And it really is done remarkably well, to the point that you do not even notice. Whether he should have gotten the Oscar over Forrest Gump and The Shawshank Redemption that year is difficult to say (Shawshank I find to be an even more unique style), but the path paved by Zimmer in terms of style has now been used countless times, which is a testament to his writing. Not to mention the movie is one the best EVER.